As a big proponent of organic food I was so lucky to be part of Farm Fresh To You product review opportunity. They deliver fresh organic produce to your home. 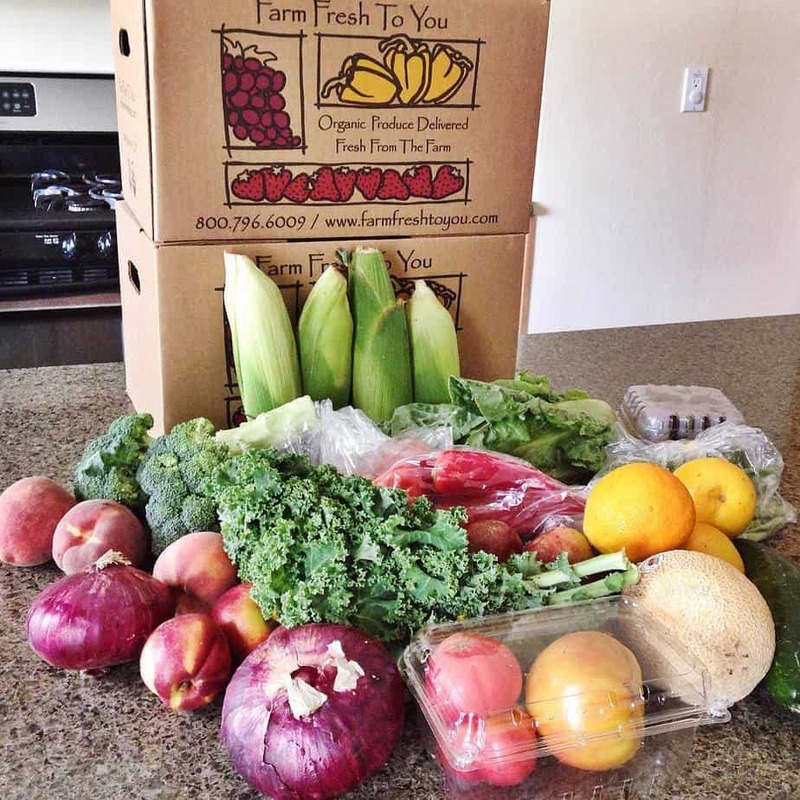 There are a few companies providing similar services on a national and regional level, but Farm Fresh To You was the first one that I was happy to work with, and gladly accepted when they offered to send me a box of their products to review. They offer a number of different varieties of boxes to be delivered right to the doorstep of your home or office. The contents and frequency at which the boxes are delivered are entirely customizable. Their produce is from a gorgeous family farm right here in the USA (and I trust organic food from our country much more than imported organic food). My Experience: As you know from my website I have pretty high standards for the products that I use, and I almost always buy organic products for anything going in or on my body. I often buy food at the local farmer’s market, and produce is one area where I don’t mind spending a little extra to get top quality. When I first opened the box Ioved how beautiful all of the produce looked, vibrant colors and a nice assortment. I’m not sure if they do a check on each and every item that is sent but it seemedthat way, I didn’t have any one-off items that were brown, no little marks from bugs, or other things that I sometimes see when buying organic food. On the flipside, the food didn’t look overly perfect as if it had been grown in a lab… not to call out Kirkland but sometimes I see their produce and it just looks engineered.. I don’t trust it. The Farm Fresh To You was in that sweet spot of looking fresh and well put together, but also real. The taste of their produce was on-point with some of the freshest organic food I’ve ever had. When I eat top quality organic food it always takes me back to two separate memories. Memory number one is the first time I had organic food. It was a carrot and it tasted so much better than any carrot I had ever had. Memory number two is the when I visited my favorite farmer’s market, the Ferry Plaza Farmer’s Market in San Francisco. I felt as though I was in heaven and that day I decided to make organic food to be a bigger part of my life. It has only the best of the best, and Farm Fresh To You’s farm (Capay Organic) is one of the main player’s at that market. San Francisco has some of the best cuisine in the world and I heard a lot of conversations going on between sellers of produce and chefs planning out their menu for that night, what an amazing scene to …ahhh, I digress J. In short, the produce from Farm Fresh To You tasted amazing on its own and was stellar to cook with. Just look at the colors pop in my pictures, the produce is the star of the show and make even simple dishes look that much better. I would recommend anyone and everyone try at least a couple of boxes of Farm Fresh To You. It’s so convenient and I’d bet that it’s some of the freshest produce you’ve ever tasted. I am looking forward to plums, peppers and grapes that are all coming into season now, and persimmons and winter squash, cilantro and leeks (to name a few) that will come into season soon after. It sounds like a great service. I don’t buy organic exclusively, but that’s mostly because of price. This sounds like a great way to get it into our diets. I really love this idea! I haven’t heard of this company but it is great that they offer this service. I will have to compare the prices to my local store. This is a great way to connect families with local farms! We have lots of produce farmers where we live, but I wish we had a program like this. It’s the perfect way to round out your grocery shopping. This is a fantastic idea! I love the idea of fresh organic produce coming to my door. Thanks for sharing this. I would love to have fresh fruits and veggies delivered to my door, especially after reading your review. I’m heading over to their website to check it out. I am definitely intrigued! I have heard of Farm Fresh To You before but I have not tried them yet! It would be awesome for fresh fruits and veggies to be delivered to me. The caveat is that I actually love going to the farmer’s market and socializing with my neighborhood farmers! That service isn’t available where I live, but I would certainly love to try it. I am really guilty of not eating enough fresh fruits and veggies because I don’t have the patience to go searching for them. This would be a GREAT alternative! I’m really interested in Farm Fresh To You because anything that saves me time and money and is organic, catches my attention. I buy a lot of fruits and veggies at our Farmer’s Market but it’s an hour away each way so I don’t make it over there except once every couple of weeks. It just takes time that I don’t really have right now. Thanks so much for sharing. This looks like such a great way to get fresh foods delivered to your door and I love that you know where they are coming from! I’m going to have to see if this is available in my area. The extra customization options would definitely be nice. This would be such a great way to get the exact produce you need. I love that photo of your family! What awesome colors! Also, this looks like an awesome service! I want to try this. I love that it is organic and it saves time not at the store! Very nice picture of your family too! Thank you for highlighting this as I always through organic foods were a lot more expensive! Love they are delivered right to your door! I love organic food and if I could serve this to my family every meal, I would. The thing is, they are so expensive. This sounds like a great service and I like that you can simply order and your box will be delivered to you. Thanks for sharing this post. Farm Fresh To You is a great way to ensure that we get our veggies delivered fresh. I will check out their website. Farm Fresh To You sounds like an awesome service. I love using organic food, so I will check this out. This sounds like a fantastic service. I love organic and it’s hard to find a lot of the produce I want in our area. I will have to check this out. This sounds like a great service for anyone living in an area where gardening isn’t a big thing. I grew up in the south, so getting farm fresh produce meant either going to the garden or your neighbor dropping by with a bag of veggies. I would love this service. I will have to check out your recipes. I a always looking for new ones to try. Ooo this sounds like a pretty awesome service!!! I’m all about dress veggies so I will have to check it out! Yum! It would be nice to get fresh organic fruits and veggies delivered straight to my door indeed. I will so have to check the Farm Fresh To You. Thanks for sharing. I went over to their website and checked it out. I really liked what I saw and bookmarked it for later. Thanks! Farm Fresh To You looks like a great service! Yay for fresh and organic fruits and veggies! I have to check their website! Revisited your site again so I can show it to my friends. They absolutely loved the idea! Farm Fresh To You is definitely something we need. I love the idea of this! We do have a crazy growing garden with lots of fresh veggies and that’s pretty much what we eat out of during the summer and fall. But, it would be great to have fresh, organic stuff that we don’t grow like cilantro and leeks! I would love to subscribe to a monthly produce box however, I’m always away for the summer so I can’t advantage of local produce. I’m such a huge propronent of farm fresh foods and locally grown items. I love that this box is organic too. That makes it so much easier to choose this subscription box over others. Thank you for the recommendation. My DIL tries to buy only organic. She’s sure got some tasty dishes that come out of it too. I need to try something like this because the produce I get at walmart isn’t always the best. I would rather support a local farmer than buy produce that goes bad in a few days. I always prefer using fresh produce over frozen ones when I cook. This is something that I would totally consider. Thanks for the info. This sounds wonderful! We’re trying to incorporate more healthy organic foods in our diet and these are some great tips. What a great way to get organic food delivered to the house! Thank you for highlighting ways to save time and money! 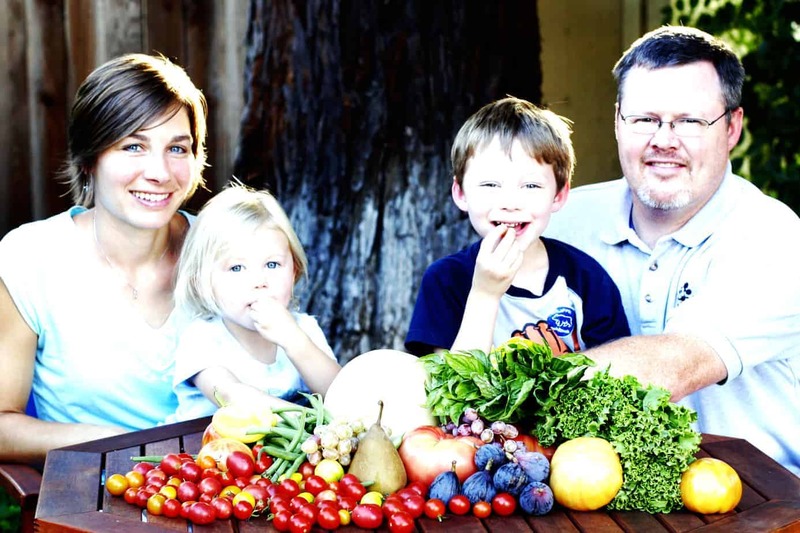 I’m so glad to hear that there is a organic food subscription box that works. I had a subscription to one and the food wasn’t very fresh and so I cancelled and felt very disappointed. I need to check out this service, I hope they are in my area. I need to give this a try since I am DYING for more fresh and local options in my area. Thanks for the suggestion! This is the kind of subscription I wouldn’t mind getting! It wuld be great to have those farm fresh produce delivered right to your door. I have been wanting to try Farm Fresh for some time now. Veggies delivered to my doorstep? Yes, please!